Things You Should Know Before You Sign on the Dotted Line. 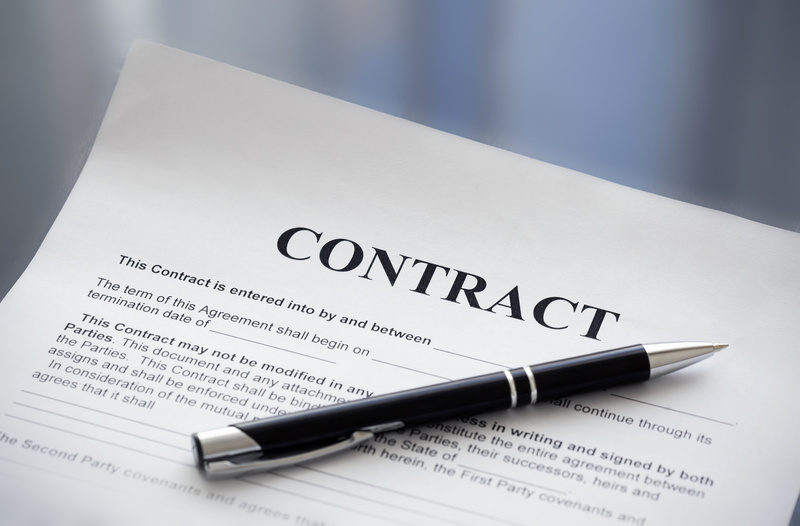 Contracts and agreements are an important part of doing business. One common mistake small business owners and business entrepreneurs make is to sign agreements (or any document), without first reading it carefully. The second big mistake is, even if they read the contract, often times they don’t understand what they’ve read, YET, still sign it. Is that crazy! Signing something that you are liable for, without knowing exactly what you are liable for? With just one click of a mouse, you can sign away your valuable intellectual property rights and never even know you did it. Another mistake often made is using contract templates without having a competent lawyer review them. It’s easy to download a contract from the Internet or “cut and paste” an agreement together without understanding the legal implications of your seemingly simple act. It’s harder to clean up the mess after you’ve done it! Investing in a competent legal expert to review your agreement and explain what it means is well worth the money you pay. Making sure your contract protects you in the way you think it does is essential. Make no mistake about it, I understand why this sometimes happens. Lawyers are expensive and it is easier to just download a document from the Internet or use contracts and agreements that your friends have used. The problem with that flawed thinking is that not all contracts and agreements are created equal, and things are not always as they appear. Another mistake is using old and outdated agreements, year, after year, after year. Like software and computers, contracts become outdated and unenforceable. As the law changes, so does the need for a new, updated, and customized agreement. Consider a yearly IP checkup, just as you would your annual physical checkup. Negotiations: Many online business owners tend to simply sign off on an agreement with another party such as a vendor, assuming that there is no room for negotiations to sweeten the deal on their part. Sometimes it is possible to compromise which is why it is a good idea to do a contract review with your attorney. Your attorney will translate the legal terms and find places where you can negotiate in your favor. Predicting the Future: An eCommerce attorney can review the terms of the contract and identify what terms may cause you difficulty in the future. By using an eCommerce attorney for contract review, you can avoid a potentially litigious situation down the road and save legal costs in the process. It will also buy you time to think about the terms with your attorney and discuss potential problems. The Fine Details: Many contractual agreements end in discord because the terms of the contract are too ambiguous. Having your attorney do a contract review will help you to place every detail in writing including specifications like time, dates, and the detailed responsibilities of each party in the agreement. Illegal Terms: During a contract review, your eCommerce attorney can easily identify any terms of the contract that are in conflict with the law. These are contractual terms which you may not be aware of until it is too late. Preparing a contract that provides you with full protection for your online business is time consuming but well worth the effort to do it right from the beginning. There are many details that must be spelled out to ensure there are no objectionable litigations in the future. Some of the mistakes can include not being aware of the different eCommerce laws, neglecting to define all of the deal terms right down to the last detail, making assumptions which should be in writing but are left out, ignoring the boilerplate terms, and failing to negotiate every detail so both parties are well served. These details require a lot of time and effort not to mention legal knowledge. This is why it makes sense to hire an eCommerce attorney like Francine to review on all of your online business agreements.